Click here to visit the International Delight facebook and like them. Then on the “Mobile Sweepstakes” tab, fill out the easy form to enter their sweepstakes. 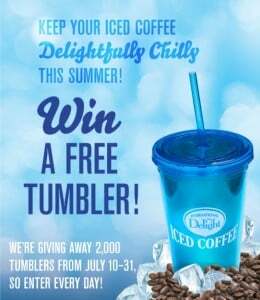 They will be giving away a total of 2,000 free International Delight Iced Coffee tumblers. You can enter this daily through July 31st. Good luck!